The Detroit Medical Center and the Wayne State University Physicians Group have reached a five-year contract for clinical and medical administrative services, the two longtime health partners announced late Wednesday afternoon. The contract appears to have calmed for now what has been a disintegrating relationship between the for-profit hospital chain owned by Tenet Healthcare Corp. of Dallas and Wayne State's nonprofit academic medical group. However, sources knowledgeable about the negotiations have told Crain's that affiliation talks between Wayne State University School of Medicine and Henry Ford Health System also appear on the verge of completion. WSU and Henry Ford have been talking for nearly two years about a closer research, teaching and clinical services deal that could involve children's and adult services. But, for now, the Wayne State UPG and DMC deal would allow more than 300 Wayne State physicians to continue to care for adult patients and provide administrative staffing to DMC services, the joint announcement said. 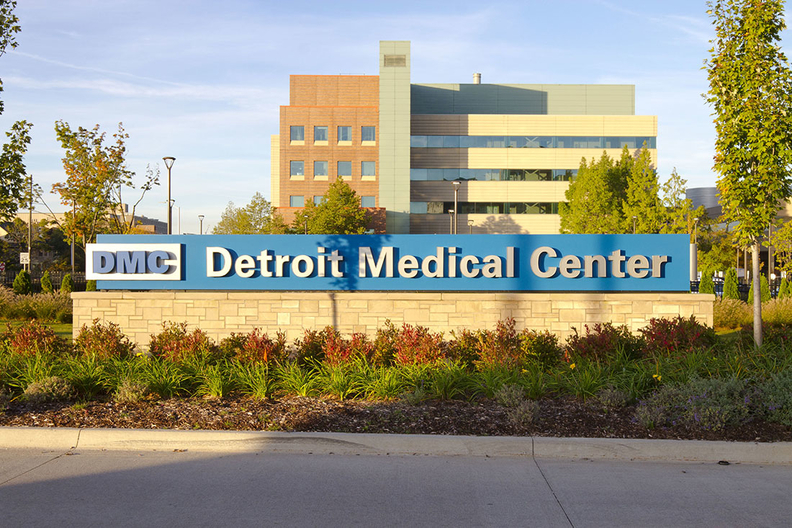 "This agreement is yet another example of how DMC is ensuring it will remain a leading care provider for Detroit and a world-class academic medical center," DMC CEO Tony Tedeschi, M.D., said in a statement. "The new agreement with WSUPG solidifies DMC's family of physicians, joining outstanding doctors in the DMC Medical Group as well as community physicians who provide care at DMC." DMC's new deal with the Wayne State physicians group includes a new operating model with performance-based metrics "designed to achieve the best outcomes for patients and enhanced access to care for the community." For example, metrics feature a range of key care and quality indicators, including patient readmission rates, patient satisfaction ratings and safety. "We are pleased about this clinical agreement between WSUPG and DMC," said Charles Shanley, M.D., CEO of Wayne State UPG, in a statement. "This will strengthen our ability to provide access to highly specialized care and further our mission to support the health care needs of the community." Because of the five-year term of the agreement, both Wayne State UPG and DMC have more stability to make longer-term planning decisions related to care investments, recruiting and staff development and strategy, the statement said. "The agreement provides more opportunities for WSUPG physicians to further develop their practices and benefit from increased levels of DMC investment support," the statement said. Because DMC and Wayne State UPG declined to be interviewed for this story, Crain's was unable to verify how much more DMC would pay UPG for services. Earlier, sources told Crain's that DMC would most likely pay UPG a little more than the $13 million to $15 million per year that was paid for services in the previous contract. The amount per year varied depending on services rendered. Sources also told Crain's that base payments would be based on Medicare's "work relative value unit" scale, or wRVU, and fair market rates. A Medicare wRVU equals $37.89. UPG physicians also can earn performance-based incentives for enhanced outcomes such as improved quality, patient satisfaction and reduced readmission rates. The two health organizations also have formed a joint operating committee to make decisions on clinical program strategies such as service lines, staffing needs, ambulatory services and capital investments. Sources also said that several aspects of the business relationship between DMC and UPG are still under discussion. For example, the two health organizations are discussing ways to improve professional billing and collections over the next six months at UPG's multi-specialty clinic on the DMC campus at 4201 St. Antoine. One possibility is hiring an independent third party to support billing and collections. Currently, UPG's collection rate is more than 90 percent, sources said. DMC has proposed to take over management or ownership of UPG's St. Antoine clinic, one source said. But two other sources said transitions of select clinics on DMC's central campus are still under discussion and potential transitions have yet to be worked out.